Citadel Securities, the market making business owned by Ken Griffin, is a frequent poacher of the best talent in the industry. It is constantly making moves to acquire the best personnel in technology and trading as it looks to compete with the top investment banks. It was therefore no surprise that last year it hired electronic trading expert Nicola White as it new chief operating officer for fixed income, currencies and commodities (FICC). White, whose career prior to joining Citadel Securities spanned 13 years entirely at Morgan Stanley, has become a leader in combining trading and technology together, two business areas which have traditionally remained separate. After graduating from the University of Waterloo with a bachelor’s degree in Mathematics and Computer Science, she enrolled in the co-op programme and interned at Morgan Stanley, joining full time in 2003. In 2005 she was asked to move onto the trading desk, becoming a US Treasuries trader, despite her speciality being in software. Her role within the bank became amplified with the onset of Dodd-Frank, which shifted trading of derivatives and other asset classes from the trading floor onto electronic platforms. After being asked to head up its electronic trading and market structure team for US rates trading in 2010, White decided to utilise her experience on the technology front and apply it to the fixed income world. “Starting in technology and moving into trading really set the base for me to move into an electronic trading role, and to combine the technological and trading aspects of the business. That is where I have focused my career over the last six to seven years,” she says. In 2014 White became global head of electronic rates trading, and then a year later global head of electronic fixed income trading, in which she led the bank’s trading activities in order to keep up with the Dodd-Frank landscape. It was this rapid rise through Morgan Stanley’s hierarchy that also coincided with the expansion of Citadel Securities. The result of Dodd-Frank meant that new non-bank market makers with more advanced, flexible technology could enter the space to replace banks that were shrinking their business. Citadel Securities has since been building out a global market making unit in fixed income and credit products under the leadership of Paul Hamill, who was hired from UBS in 2014. It now ranks among the top 10 Treasury market makers on Bloomberg’s trading platform, according to reports. It makes markets for several products in the US, and has recently expanded into Europe for interest rate swaps and credit default swaps. A new area for the giant market maker is in off-the-run Treasuries, one of the harder to trade areas within the fixed income market. White says new role has been focused on expanding in the off-the-run Treasury business, and has harnessed her technological expertise in building it out. As regulation in the US and Europe continues to impact trading, White foresees even more opportunities for Citadel Securities to benefit and expand, especially with MiFID II on the horizon. “Having everything that is subject to clearing, traded on-venue would be a very positive step for the transparency of the industry. “The clearing timeline puts derivatives trading obligations even further out in Europe. But I think given the industry’s experience in the US, trading will migrate onto venues easier because people are used to the Sef regime and a lot of system changes have already been made on the back of that,” says White. 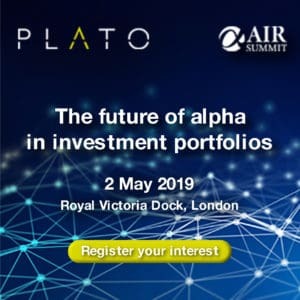 Open access of trading venues, as part of MiFID II and central clearing for derivatives will be a significant stimulus for expanding Citadel’s market making model. “You have to keep an eye on Europe, as there are so many developments coming off the back of MiFID. The model that we adopt depends on what our clients need and demand,” adds White. 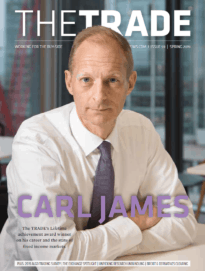 For the full article look out for the next issue of The TRADE Derivatives.